The global market for windows and doors is forecast to exceed US$260 billion by 2024, with projected annual gains of 3.5% between 2018-2024, according to new research by Global Market Insights Inc. The worldwide market for these products was valued at more than US$190 billion in 2017. Construction industry growth, including commercial and residential buildings, will boost the windows and doors market size, according to the report, "Global Window & Door Market". Smart city development initiatives in several countries strongly focusing on improving facilities for citizens are among the key industry growth parameters. Surging government spending in infrastructure development for non-residential and residential buildings are fueling the product landscape. Worldwide, the residential windows and doors market will account for more than 60% of market share by 2024, and is anticipated to surpass US$140 billion by 2024. Globally, growth in residential construction is supported by increasing disposable income and the lowering of taxes and interest rates. Need for improved security coupled with innovative unlocking options also have enhanced the product demand for new as well as replacement applications. Emerging economies, particularly India & China will witness rapid expansion in residential construction to fulfill the growing population needs. The global commercial windows and doors market sector is also on a growth path, projected to register more than 3.5% CAGR through 2024. Commercial application accounted for more than 35% of the overall industry share in 2017. A rising number of healthcare, institutional, educational, retail and office constructions will support the window and door market size. In addition, growing construction of hotels and restaurants due to expansion in tourism industry will provide a positive outlook for industry demand. By far the world’s largest window and door consumer, China is poised to see strong market growth as property owners increasingly invest in high-value products that improve building aesthetics and boost energy savings (e.g., curtain wall). In addition, rising income levels in the country’s expanding urban centers are encouraging homeowners to invest in better quality windows and doors that increasingly measure up to products sold in Europe in terms of security, sound abatement, and energy efficiency. Want to know more about the China window door market? 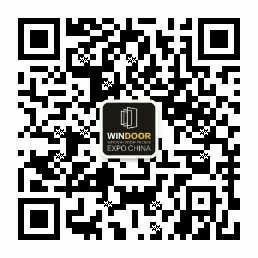 Keep an eye on Windoor Expo, the most comprehensive sourcing platform for window, door and facade products in China. In 2019, on its 25th anniversary, 700 international and local manufacturers and suppliers of the window, door and facade will showcase 23,000 up-to-date products in 100,000 square meters exhibition space in Guangzhou from March 4 to March 6, 2019.